Italian Styling - nostalgia, elegance and grace — SORS. I was a sixteen year old California girl when I discovered it: La Dolce Vita. Marcello Mastroianni clad in a black pencil suit standing knee deep in water with a bottle blonde and buxom Sofia Loren, or lay on a sandy beach and partying on his knees fully suited up in white, finished off with a black dress shirt and notable ascot - not a care in the world, only an effortless sensation and well tailored since of style. And there was the Alfa Romeo Spider, the classic Italian convertible often seen on the highways and the coasts surrounding my childhood in southern California, and there was Princess Grace, and James Dean - American icons of a borrowed style whom both met tragic ends while living a life that seemed scripted right from a scene along the Amalfi cost in a Frederico Fellini film. And of course there are the settings, the interior scenes featuring now legendary designs from masters like Venetian architect Carlo Scarpa and the unforgettable Gabriella Crespi. 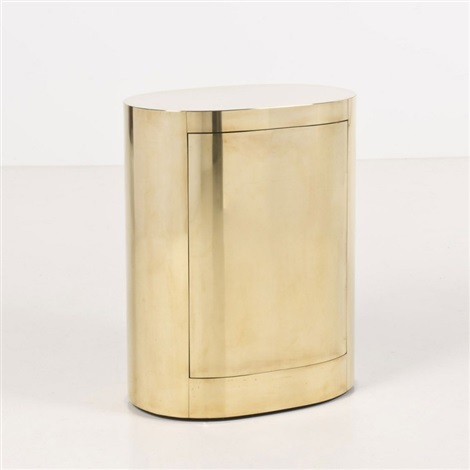 The mastery of the inlay of metals such as brass, the daring angles and modular features that create surprisingly functional furniture design, and the soft contrasts of oval and angular lines that mix visual splendor with comfort. True, some may dismiss it all as cliche, but I will always feel a nostalgic tug of the heart for the original modern "good life", and a special appreciation for contemporary designs that take my imagination on a trip to reminisce. But the good life does indeed continue today, with so many inspiring Italian style masters continuing with the tradition of defining themselves as both creators and keepers of style. Architects Lazzarini & Pickering are a perfect example. In recent years they've created a collection for Marta Sala Editions, and it is a clear icon of the subtle intricacies of Italian design. Featured above: The Renoir Collection, Featured below: The Lavinia Exagonal armchair and ottoman foot rest from the 2nd collection from the MSE project.